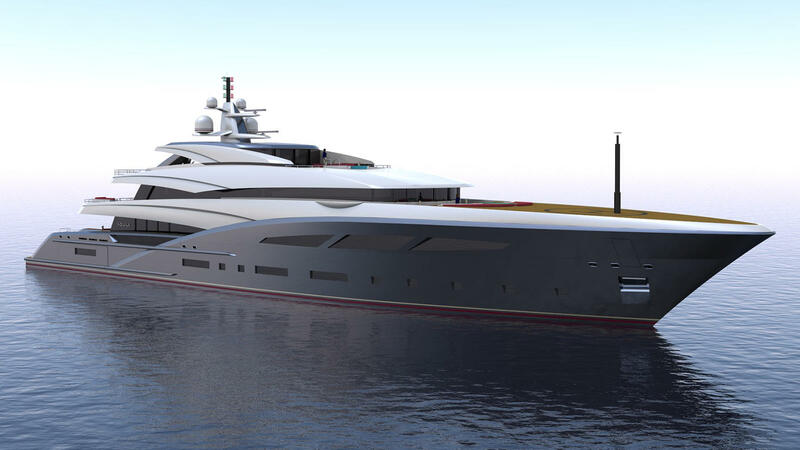 American brokerage firm Worth Avenue Yachts has released its first design in a new collection of superyacht concepts — the 72.75 metre Aquila. Development in collaboration with naval architects BMT Nigel Gee, Aquila features exterior styling by Christopher Seymour Designs, while the interiors are courtesy of Evan K Marshall and Carl Esch would act as design and project consultant. 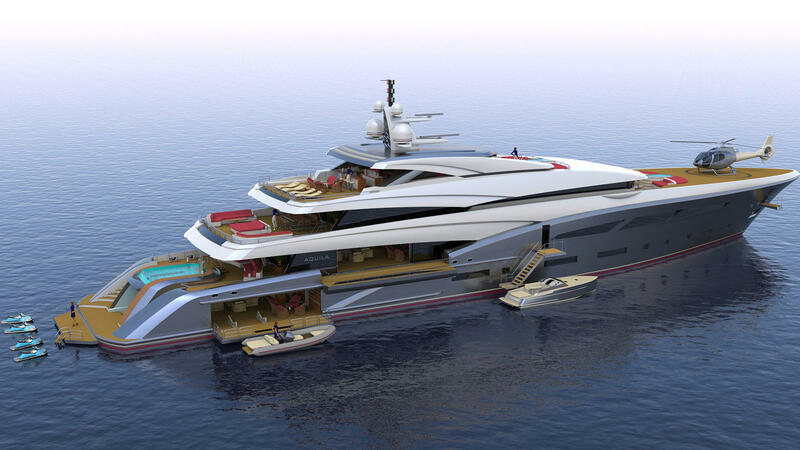 The yacht would be built at an unspecified Italian yard to Lloyd’s registry standards with a 2019 delivery date mooted. Worth Avenue adds that Aquila would be MCA compliant with a steel displacement hull and aluminium superstructure that could be finished in a choice of seven colours. Accommodation is for 12 guests in six staterooms, including a master, four doubles and a twin cabin, while the crew quarters allow for a staff of up to 20 people. Key features on board include a superyacht beach club, separate spa area and a vast sundeck with a spa pool flanked by sunbeds, numerous seating options and a full bar. The superyacht helipad is located on the foredeck, with enough space to land a Eurocopter EC135. The upper deck features a sprawling owner’s suite with its own study, library, his and hers walk-in wardrobes and an aft-facing cabin leading onto a private deck. The premium features continue on the main deck with a formal dining area seating 12 around a circular table, while the adjacent lounge area features a piano, bar, three sofas and four armchairs. Power would come from a pair of MTU 16V 4000 M63L engines for a top speed of 18 knots and a cruising speed of 15 knots. When trimmed back to 12 knots, Aquila would boast an impressive maximum range of 6,000 nautical miles.